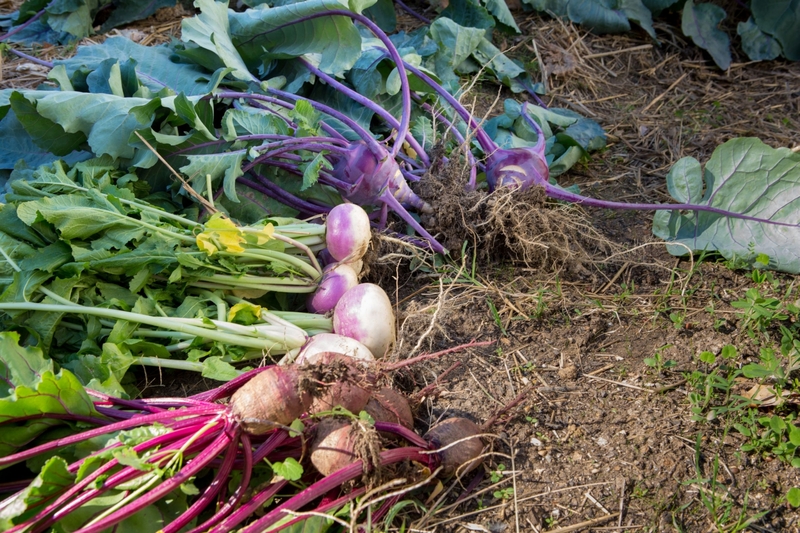 GW strives to provide sustainable, local food options for the campus community. SAGE Dining Services operates Pelham Commons on the Mount Vernon Campus. SAGE focuses on providing healthy, fresh, balanced menu options; supports local and regional distributors; and prioritizes environmentally responsible practices. In addition, Dining Cash allows students to eat at a variety of neighborhood restaurants on GW’s campuses and across Washington, D.C. Dining Cash is also accepted at the local farmers' market and with community-supported agriculture (CSA), which provides local produce by subscription. The GroW Community Garden is a block-length plot of land (located on H Street between 23rd and 24th Streets). It is supported by the George Washington University, and maintained by two student managers (employed by the University) as well as a strong volunteer base. All of the produce is grown to support the work of Miriam's Kitchen: a nonprofit organization that aims to end chronic homelessness in Washington D.C. Miriam's incorporates fresh, local produce into the meals they serve to their guests Monday through Friday every week of the year. GroW produce goes right into the kitchens of folks who are housed through Miriam's Permanent Supportive Housing program, which transitions around 135 individuals experiencing homelessness into housing while continuing to provide supportive services. 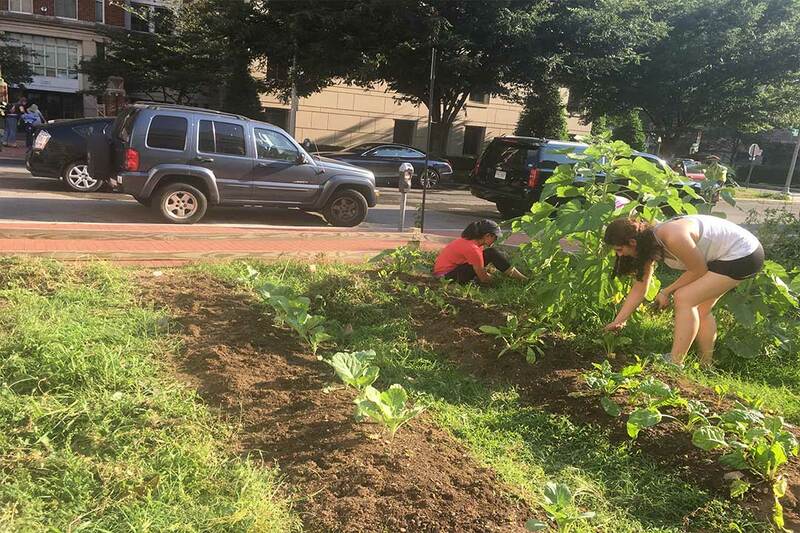 In addition to supporting Miriam's, the GroW Community Garden functions as a tool to educate and build community at GW, largely through its affiliated student organization: The GroW Community. The GroW Community offers students and community members a space to engage with sustainable agricultural practices, consider issues of food access and food sovereignty in Washington D.C., and cultivate community around food. 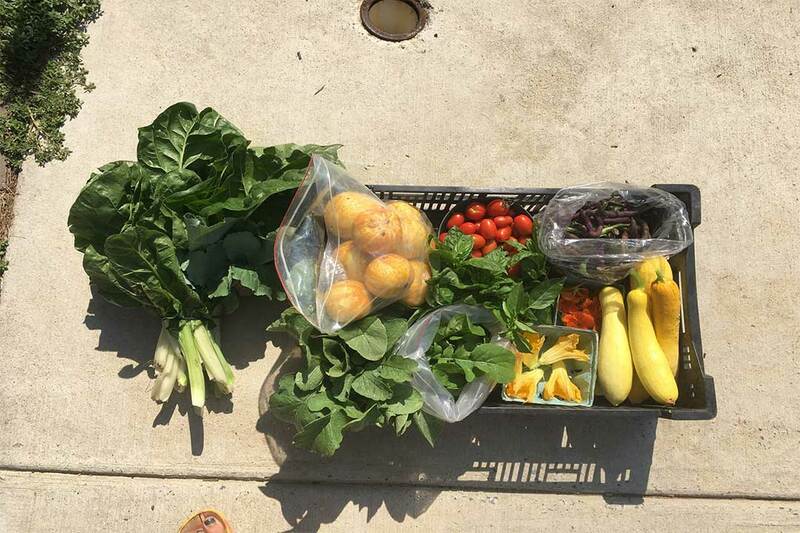 The GroW Community also facilitates a CSA program that connects students with local farmers and producers to purchase Community Supported Agriculture (CSA) farm shares of fresh, local produce and other food items using GWorld. 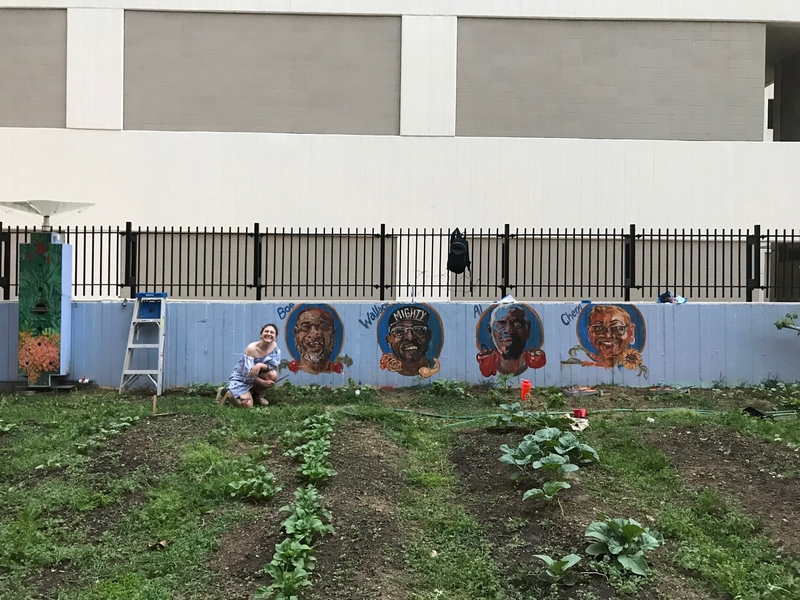 As part of GroW’s mission to educate the GW community about local food and food security, a mural at the garden celebrates local food heroes who have been critical in promoting food sovereignty in DC. Communities most at risk of climate impacts need better ways to get access to fresh and healthy food. For the 2018 DC Climathon challenge, the Office of Sustainability and its partners at the District Department of Energy and Environment called for innovators and entrepreneurs to help develop solutions to local access to fresh, healthy food for vulnerable populations in the District. Last Call seeks to reduce food waste and local food insecurity through making surplus food more affordable. Last Call is a platform and community network that shares discounted restaurant and grocery store food through a web application, notifying subscribers in neighboring areas of the extra food available, the business location, and the pick-up window. District Connect is a farmer’s market on a bus. The start-up will transport food from local producers directly to communities in need at regular dates. It will offer cooking demos with portable kitchenettes and serve samples of a limited number of hot dishes each day using the ingredients available, with recipe guides to make at home. Food preparation stations will assist customers with portioning and pre-cooking steps. Get your hands dirty pulling weeds and planting seeds and meet friends who also care about sustainable food systems during weekly volunteer hours. Email [email protected] to sign up to volunteer. 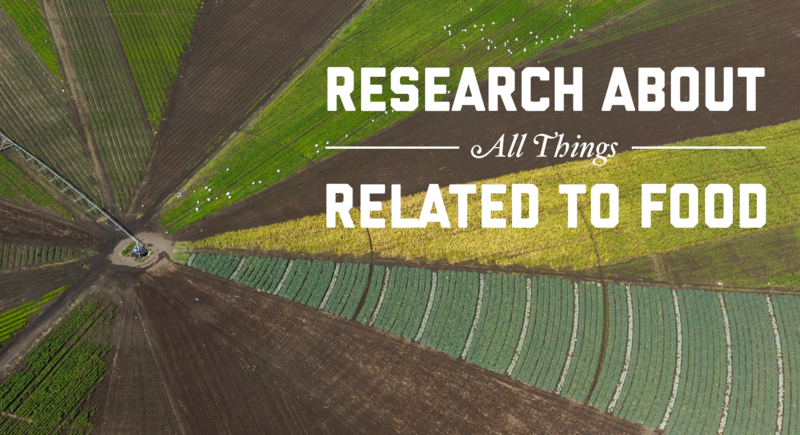 Eat your veggies and support local farms by participating in Community Supported Agriculture. Once a week you'll recieve a box of produce and from a local farm. Pay with GWorld and pick up at the GroW Garden. 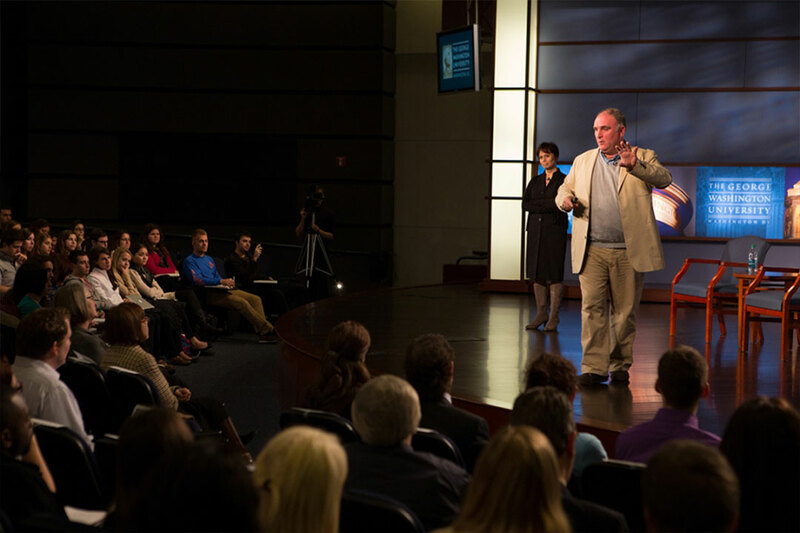 From the evolution of human diets to the biology of nutrition and health, GW offers an array of food-related courses.